The prosecco was flowing, the black tie was donned, so many of our wonderful partners won big, and so did we! We are honoured to have won the Expense Management category, and proud to see that our partners dominated their respective categories. It’s fair to say that AccountingWEB’s Practice Excellence and Software Excellence Awards were a resounding success. First up was the Software Excellence section of the awards ceremony. It may sound like a cliché, but the standard was particularly high this year – it’s inspiring to be surrounded by so many innovative peers. A big congratulations to our friends at Chaser, for their win in the Cloud App category, and Float, who won for Forecasting, Planning & Analysis. We were also delighted to be named as the best Expense Management tool for accountants, bookkeepers and small businesses! We owe a huge thank you to all of our users who voted for us. It’s been a whirlwind year of product development, fundraising and expansion, and we couldn't do it with our amazing partners. As we mentioned in our blog post when the shortlist was announced, this year Receipt Bank partners were nominated in every single category of the Practice Excellence Awards. This resulted in some well-deserved wins on the the night. New Firm of the Year went deservedly to The Accountancy Cloud, who have been scoring goals since their founding in 2014. They were also up for Innovative Firm of the Year. Client Service Firm of the Year, went to the inimitable Kinder Pocock, one of earliest and most successful. We were very proud to see her up there on the stage receiving some well-earned recognition. Large Practice of the Year went to Bishop Fleming for their excellent work across The Midlands and the South West. Medium Practice of the Year was awardded to Dunkley’s Chartered Accountants, based in Bristol. Small Practice of the Year went to Evans & Partners. Congratulations to all our partners who were nominated – we're impressed every day by the new ways our partners find to add more value for their clients. 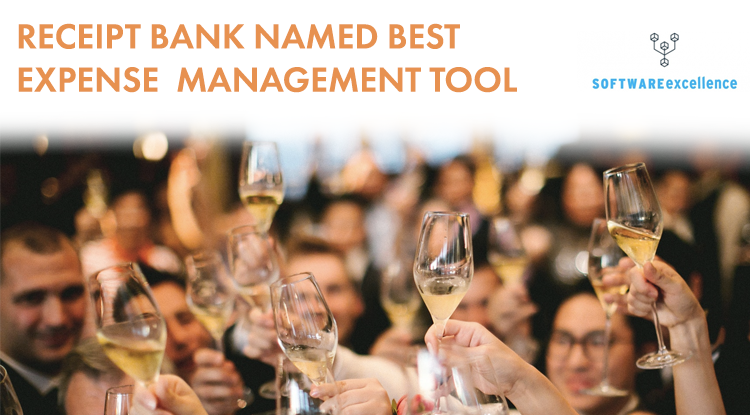 The sheer variety of firms picking up awards this year proves the value that Receipt Bank brings to any firm. As SMEs demand more from their accountants and bookkeepers, automation tools like Receipt Bank are essential to automate manual processes like document collection and data extraction. We share the same philosophy at Receipt Bank: success is impossible without innovation. We are constantly looking for new ways to help our partners, so it’s only logical that our partners themselves are at forefront of innovation. Receipt Bank partners were nominated in every single category of the Practice Excellence awards. That's because we save them valuable time and aid them in optimising efficiency, so that they have more time to thrive. If your firm could do with more time to grow and improve, book in a call with a member of our team to chat about your options.